I recently picked up a postcard which had a circular arched holy well which had carved across the arch Holy Well. It appeared to resemble sites found Cornwall and Devon, indeed it had Truro as its location. I was unaware of such a site in the Cornish capital and I had never heard of a Victoria Park in the town too. However, searching on the internet it revealed itself to be in Nova Scotia and such I was intrigued to find out more. The Acadians is the name of the French colonists who settled in Canada in the 1600s around Nova Scotia in a separate colony from those of Quebec put were expelled from the region after the British conquest in the 1710. They clearly brought with them their traditions and customs and finding themselves in need of true holy well blessed this spring. Local legend states that the well was blessed by Celtic saint. This obviously is a little paradoxical to say the least as we are several 1000 miles from the Celtic homeland. It is more likely that the Celtic wells were used to explain the dedication, with an obvious Breton association, unless of course the site claims a connection with the legend of St. Brendan. Nevertheless, the site was used to baptise infants and as a wishing well. 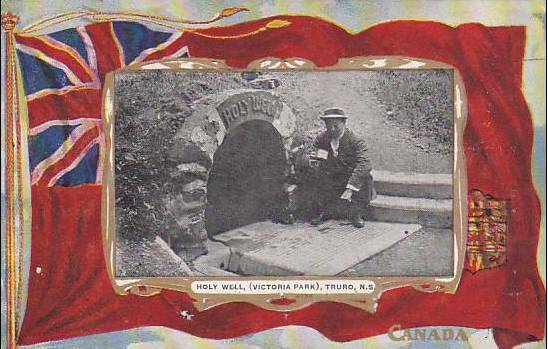 The Victoria Park website refers to the holy well as a replica of one on Bible hill. There is still a Holy Well Park Bible hill is there a holy well there? The question being does the original survive? I have yet to discover the answer. The site itself looks old, sitting below the rock face and reached by a small number of steps. Sadly a cover is now placed over its entrance which appears to prevent access to the water. Research reveals other holy wells in the country and the author would be keen on hearing about more. 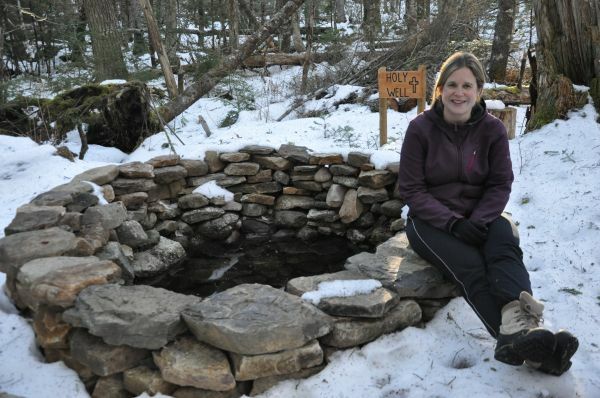 In the park itself there is an interesting spring called the Brandy spring, so named because soldiers in the Fenian raids kept their bottles cool there. 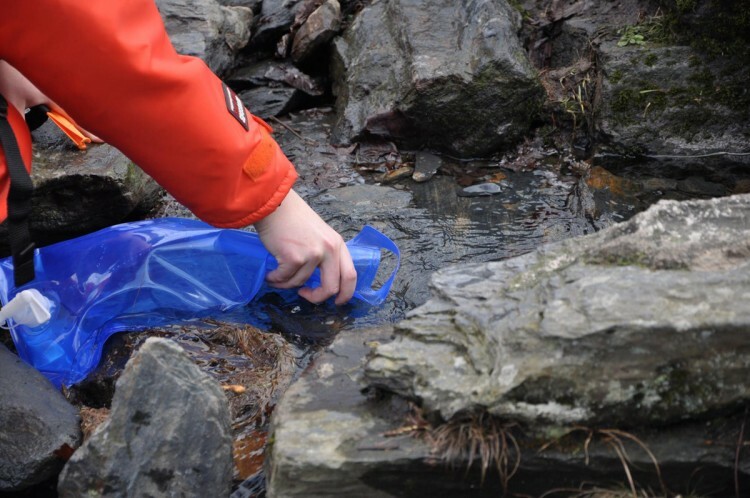 It was until recently used by locals as drinking water. 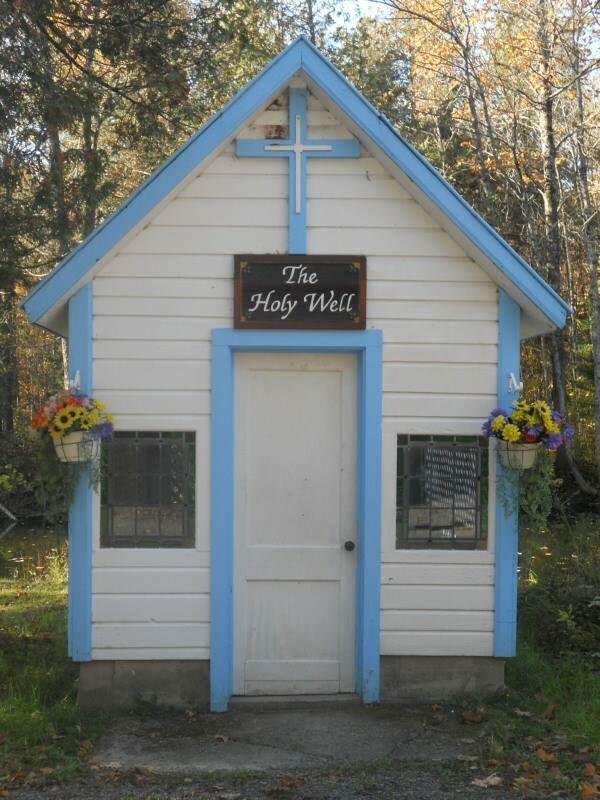 One holy well is associated with the legend of Oak Island and another at Point Pleasant Park Halifax, although other than having clear water I have been unable to find more information. More interestingly is St. Patrick’s Well, Mount St. Patrick, Ontario an area colonised by Irish Catholics. It is said that a Father McCormack was responsible for the holy well in 1869 after finding the spring and blessing it in the Irish tradition. 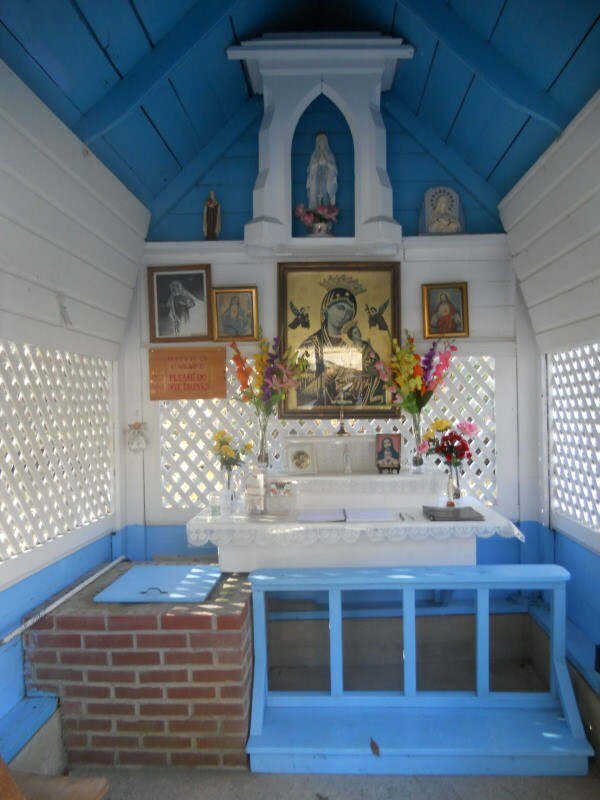 As can be seen from these photos from waymarking.com the spring arises in a square deep well associated with an altar with iconography in the enclosed whitewashed wooden building with blue roof. It is pleasing to see that the European holy well tradition manifested itself in the far reaches of their colonies and surely there are more wells to discover..if anyone knows of any such I would be interested to hear of more.